Some years ago, I had read an electronic copy of James Carse’s Finite and Infinite Games. I have now bought a paper copy. Rebecca Solnit is suggesting that we can only find some things about ourselves by losing ourselves – becoming purposefully lost. We all participate in finite games but not everyone chooses themselves and joins in an infinite game. 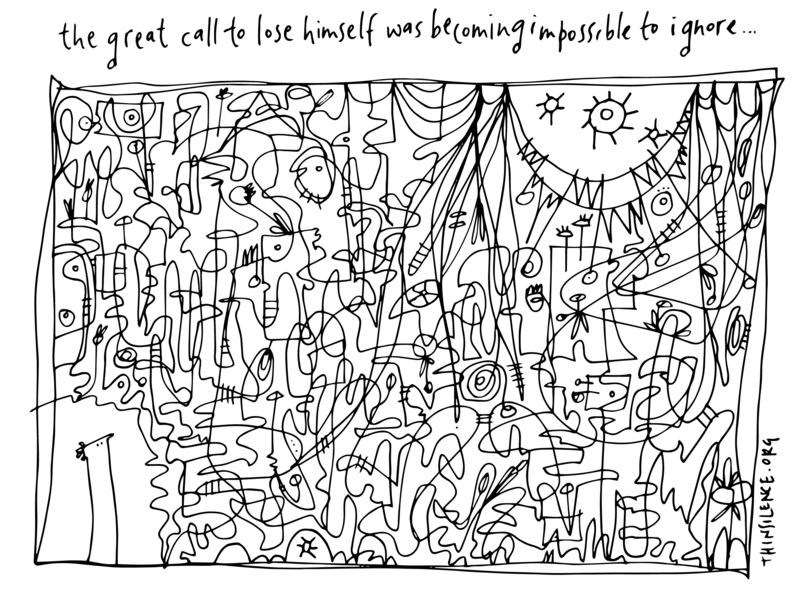 I offer today’s doodle for colouring, a means of losing ourselves. Enjoy.